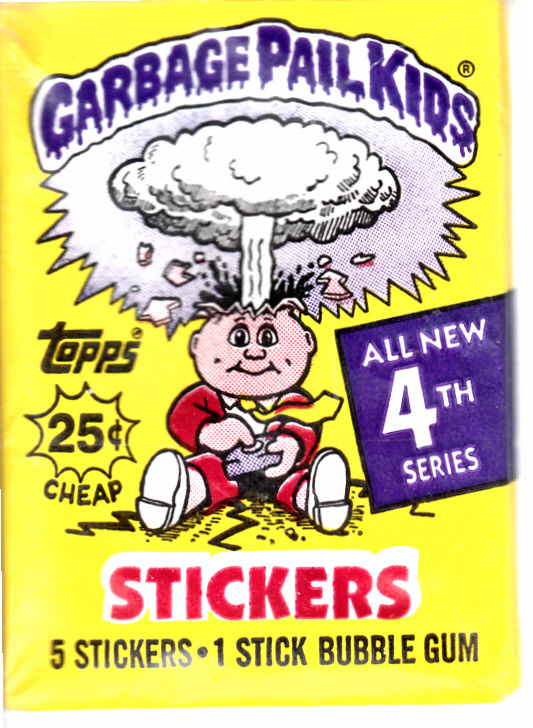 Garbage Pail Kids 4th Series unopened wax pack containing 5 sticker cards and a stick of very stale gum. 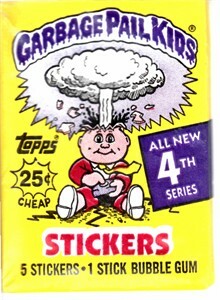 Made by Topps in 1986. ONLY 20 PACKS LEFT.